“Sentinel of the Seas” reads like a novel. Dennis Powers has written another classic masterpiece which chronicles man battling the sea. As in his earlier works “Treasure Ship” and “The Raging Sea,” Powers has thoroughly researched his work. He spent five years in preparation, searching archives, original journals, dairies, ship logs, Lighthouse Board Reports, and doing personal interviews of survivors, and their families. The lighthouse was built on St. George Reef which is one of the most hazardous reefs off the West Coast. Powers recounts the history, engineering and construction of the lighthouse. He also explains the various lighting and sound warning devices used over the history of the lighthouse. Powers masterfully weaves into the record heroic stories of the men and women who designed, built, and maintained the St. George Reef Lighthouse from it’s completion in 1892 until it’s abandonment in 1975, and renewal in 2002. “Sentinel of the Seas” heralds the career of Alexander Ballantyne, who supervised the project, as well as the careers of George Roux, and Fred Permenter the lighthouse keepers. Powers details the work of the “wickies,” lighthouse life, the history and the development of other U. S. lighthouses. He shows a deep appreciation for the courage the lighthouse keepers demonstrated in the midst of crashing waves, tumultuous storms, and hurricane force winds which they faced on a recurring basis. 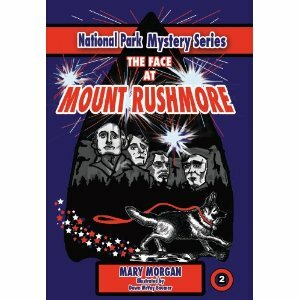 This is great adventure reading, brilliantly written. I highly recommend “Sentinel of the Seas” to everyone who loves epic adventure stories of the adventure of the sea, shipwreck, and nautical history. A complimentary copy of this book was provided for feview purposes. The opinions expressed are my own. The Appalachian Trail begins at Springer Mountain, Georgia and ends at Mount Katahdin, Maine. Craig Clapper brings together for the reader three facets of life observed during his 2,186 mile Appalachian Trail (AT) thru-hiking experience: the physical, mental, and spiritual. In a logical progression Hoosier, Clapper’s trail name, carefully describes the topography of the trail, the climate, the scenic beauty, and the pitfalls and dangers along the way. He uses his keen power of observation to draw parallels from these unique experiences and shows how they mirror life and give insight into man’s personal quest to find purpose and meaning. Hoosier devotes a full chapter to the benefits of “Traveling Tight – Traveling with Friends.” The community of hikers on the Appalachian Trail attest to the fact that the camaraderie and companionship developed along the trail is a driving force behind reaching Katahdin and attaining their goal of becoming a thru-hiker. Photos taken of scenic markers and of fellow hikers add a significant dimension to Hoosier’s creative word pictures of these new friends; they include: Sparks, Caribou, Dovetail, Nickelodian, Rash, Punkin Pie, Mot, Joe the Hiker, Samson, and many others. Hoosier compares this to the bond of friendship of David and Jonathan described in the Old Testament. “Along the Templar Trail” describes Brandon Wilson’s personal pilgrimage for self-exploration as well as an important journey for the cause of peace. Brandon has written and amazing account of a mission that took him from St. Jean de Losne, France to the city of Jerusalem, a distance of 2,620 walking miles. Brandon’s descriptions are so vivid I could almost feel the pain of blisters forming on his feet as he walked. My back ached along with E’mile’s under the weight of his twenty-seven pound backpack. While tilting back in my recliner I escaped the torture of Brandon’s swollen feet and painful exposed blisters, as I loaded my Gregorian Chant CD’s in the player and lived vicariously the quest of two men traveling two continents on a pilgrimage for peace. I, too, entered the transcendent experience of the Baroque Chapel of the Benedictine Monastery at Beuron, Germany. Although supportive of each other, Brandon and E’mile each faced their own personal quest. They had to individually confront their insecurities, the unknowns, the “what if” questions, the pains, limitations, and fears. Risk, danger, in-climate weather, and the challenge of physical endurance created an air of drama and suspense throughout the odyssey. As nerves became frazzled and patience wore thin the ongoing relationship between the two pilgrims was threatened. I enjoyed the accounts of “angels” miraculously providing food, lodging, and encouragement at critical stages along the way. Engaging stories of generosity, and camaraderie, demonstrated the universal concern for peace among peoples of every ethnic group, culture, religion, and generation. Word pictures depict Brandon’s subtle humor, even as these same words portray the reality of the drama of life. “The streets were patched together like an ugly, gray, communist quilt, rife with moth eaten holes. It had more bulges than a fat lady in Spandex. The corridor was strewn with trash, rotting animals, and those ever present plastic liter bottles.” In the midst of all this poverty Brandon experienced another side of life on those rare occasions when at the end of the day he shared meals and the hospitality of emphatic hosts. I enjoyed Brandon’s ongoing descriptions of ethnic cuisine and epicurean delights as well as his commentary of wine aficionados, and his connoisseur’s taste. Invitations along the way for Brandon and E’mile to appear on TV through interviews reaching over 1,000,000 people demonstrate the power of one or two individuals to make a change when dedicated to a cause. Seed thoughts sown through the media coverage gave opportunity for prejudice to be challenged in hopes of producing needed change. A gallery of photos depicting highlights of the journey, important monuments, buildings, and locales add a significant dimension to the book, especially for any who may want to consider their own pilgrimage along the Templar Trail as it becomes recognized as an International route for peace. “Along the Templar Trail” is a timely, important book a must read for every American. This is a step in fostering peace and eliminating the root cause of war. Thought provoking, engaging and inspirational, this is a great read. The author’s word pictures and phrases created images so real I felt I was present with him on the summit when he said, “Hundreds of feet above the Lilliputian village, impressive dunes stretched miles behind us, as far as eye could see. Down below a cluster of palms looked like tiny drink umbrellas poked into a sandbox.” At that moment I had a sense of the immensity of the Sahara desert. Wilson’s flair for artistry is also revealed in the results of his “photo stalking”. Twenty pages of exquisite photos add another dimension to Wilson’s narrative and reveal the breathtaking beauty of Africa’s diverse scenic wonders. Other photos are of wildlife taken in the jungles of Africa. Prize photos portraying African natives endear the reader to the human side of this troubled continent in turmoil and transition. Speed reading this book was out of the question. I did not want to miss a single word or nuance of meaning in Wilson’s steady flow of language magic. Brandon Wilson is gifted with powers of observation and a rich command of language. I found his writing to be both moving and powerful. Extraordinary! After experiencing what Brandon describes as “facing the scary sameness of so-called normal life” he was ready for a new challenge. Together the Wilson’s made the decision to downsize their belongings and to burn their bridges behind them to follow the alpine trail. The Via Alpine Trail crosses eight countries and covers 200,000 square kilometers. The trail is made up of five tracks connecting existing long distance trails across the Alps. There are various stages and runs which sometimes intersect allowing hikers to explore a personal Alpine interest. The Wilson’s itinerary was planned around the goal to complete the trail from Trieste, Slovenia to Monaco in one five month season. They soon discovered the difficulties confronting them. In spite of the dearth of good maps, disappearing trails, and harsh weather Brandon and Cheryl enjoyed Slovenia scenery, culture, and the promise of “Discovering the Alps” as they traversed parts of Italy, Austria, Germany, Liechtenstein, Switzerland, France and Monaco. I also appreciated Wilson’s careful attention to detail, his subtle sense of humor, candid approach, and spontaneity. Throughout the entire trek made up of 350,591 feet of vertical climbs and descents across the Alps, the rain, the snowstorms, and death-defying dangers, Brandon and Cheryl, did not lose sight of their motive and the underlying joy that drove them to experience the adventure of breathing fresh air, the freedom to explore, daily measurable accomplishments, memorable views, personal peace, the companionship of community and reconnecting with nature. Award winning author and photographer Don Smarto combines breathtaking magnificent photographs with deeply profound writings addressing questions everyone asks: Where did I come from? Why am I here? Do I have a destiny to fulfill? Is God the Creator of the Universe? What happens after death? “Heaven in a Wildflower” is formatted with five amazing color pictorials and a thought provoking narrative that takes the reader through the Biblical account of creation: of light, water, plants, animals, and man. The book includes biographical sketches of twenty fascinating personalities, illustrations on structure and design, and ends with meaningful insight into questions pertaining to death and resurrection. Smarto’s writing is packed with awe inspiring word pictures, incredibly enhanced by color photos taken from twelve major cities within fifteen different countries which include: flowers from the rain forests of New Zealand and animals from jungles of Africa. His color photos of people from around the world reveal a depth of character and personality through their facial expressions, body language, and background settings. Each theme whether narrative or pictorial provides the reader with another opportunity for an awe inspiring worship experience and exploration into faith, philosophy, the arts and science. Don Smarto’s “Heaven in a Wildflower” has a prominent place on our coffee table. It opens the way for discussion starters for family and friends and as well as with those seeking answers to questions of faith and truth. Beautifully bound, “Heave in a Wildflower” is ideal for gift giving for any occasion. A first generation Italian-American International award winning photographer and author Don Smarto shares poignant stories and treasured memories of his youth with his adult son Luke as they visit ten cities in Italy, including Rome, Florence, Milan, and Naples. Smarto skillfully weaves absorbing stories touching anecdotes, and treasured memories into the history, and background data on important art, architecture, and Italian food..
Smarto’s writing comes from a father’s heart. This is a touching story, emotionally packed with expressions of parental love and friendship. Smarto tells of a proud heritage filled with unforgettable memories of his childhood and youth. He describes the difficult journey experienced during the days of his son Luke’s heart surgeries, and of his role as father in developing a bonding relationship with his son. 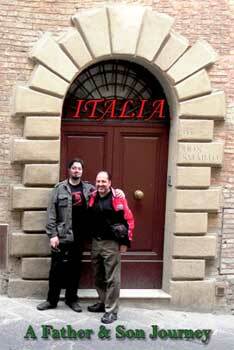 In another kind of journey Smarto details the father/son tour of Italy and a father/son friendship. He talks of ancient and contemporary Rome, developing unique insights not found in generic travel guides. He tells of their experience in Vatican City in the heart of Rome, other cities throughout the duo’s extensive visit to Italy. These include:, Venice, Murano, Pompeii, Naples, and Perugia. Frequent references to popular movies featuring Italian cites, fountains, art, and sculptures help the reader identify with Smarto’s narrative, photos, and well-known Italian personalities introduced throughout the manuscript. Don includes interesting highlights from Italy’s history, technological advances, with detailed descriptions of the points of interest he and Luke visited throughout their trip. The text is generously seasoned with Italian idioms, familiar and not so familiar words and phrases. These add a uniqueness not found in traditional generic travel guides. I found it interesting to note that the Vatican museum includes not only religious art, but also features ancient Greek, Etruscan, and Roman sculptures. “Italia: A Father & Son Journey” is a book that will have a prominent place in our home for years to come. Don Smarto’s writing and photography are inspiring in the imagery created by well-chosen word pictures and spectacular photography.